FotoBella: Today is Christmas Card Day! by Sir Henry Cole in London, England! Cole found that writing Christmas greetings to his numerous friends and colleagues was much too time-consuming. So he asked a friend of his, artist John Calcotte Horsley to design a card which could be used by Cole but could also be sold to the public! Early on, cards rarely showed winter or religious themes, instead they featured flowers, fairies and other designs that reminded the recipient of the approach of spring! Children, birds and animals were very popular themes of the day. 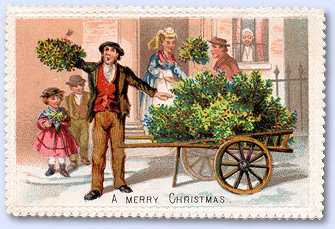 By the 1850's many traditions of Victorian England were featured on Christmas cards including the hanging of the holly and Christmas trees. 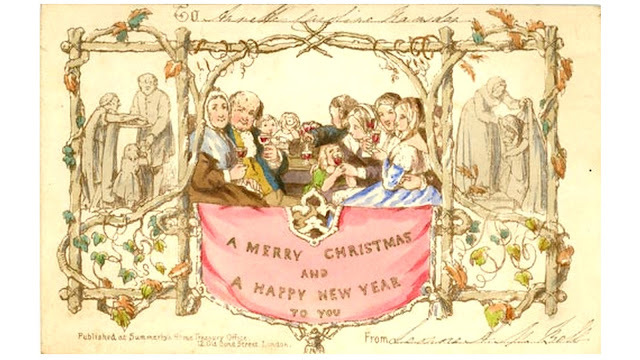 These early Victorian Cards are favorites among collectors and paper crafters and are often replicated in today's paper companies such as Graphic 45, Bo Bunny, Carta Bella and others. 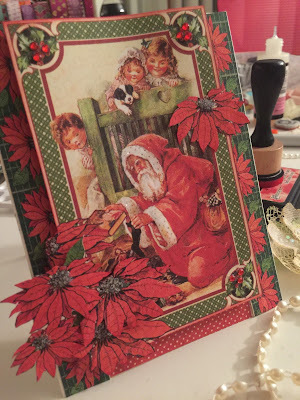 In fact, the December "2 Cards/ 2 Tags Kit by FotoBella I used Graphic 45's "Children's Hour" paper collection which features beautiful Victorian designs. 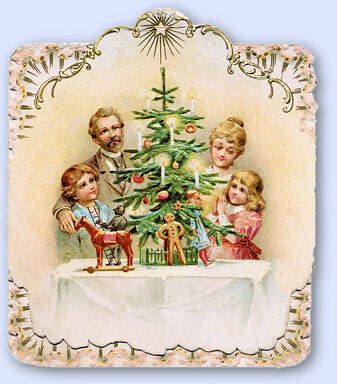 December 9th is also considered the day to start mailing your Christmas cards! Have you made them yet? If not, check our website for everything you'll need to make beautiful cards your recipient will treasure for years to come! If you love Graphic 45 papers, you will love the sale we have on this paper collection, Children's Hour! Check out our website for details! It's always so much fun to find out how traditions began!